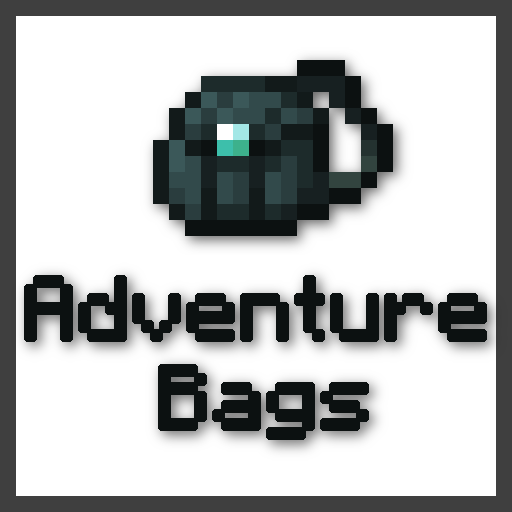 This is a mod that adds an Ender Satchel and an Ender Backpack, the special thing is that both inventories are linked to the player so if you lose one you can craft another and you get your stored items back. Massive thanks to artist YULIFE for taking the time to make all of the mods texture and the logo, he is really awesome, and to all the people who are listed as contributors for supporting me with the idea they are awesome as well! Is there a reason I can't get this to work on my server? If I put it in the server files, it crashes the server on boot. But if I just use it as client-side, the server doesn't know the recipe for the ender bags, so I can't craft them. Any idea how to fix this? I'd say my experience level with this is moderate-noob - I can get a modded server running but don't know what's actually in a java file. I will look at it and when it is fixed I will release a new update. Any update to this? I have your mod as a part of the R.A.D. modpack and its not currently in the files, due to this issue i would have to assume. This not working is causing us to not be able to progress in the quest chain. Thank you for your hard work. I hope its an easy fix. I hope that the new version fixed the issue. Sorry it took me so much time. Please report the issue on github so I can see what crashes your server. I did a bunch of testing and I have not encountered any crashes on my instance. I am not seeing the Recipe difficulty toggle in the config (1.12.2-0.9r). Also, recipes for the bags are showing twice, same recipe but different recipe IDs. The Reinforced LEather also has two recipes with two recipe IDs, but they use different quantities (e.g. one is 8 leather and 1 string for 8 while other is 8 string and 1 leather for 1). It might also be worth noting that the mod overrides/replaces the Vanilla Enderchest. Personally, I wouldn't mind some sort of toggle for that since I am not big fan of it gaining an extra 2 rows. It was already smaller than the Ender Satchel. The custom inventories also work a tad strangely since items place top to bottom before left to right and it removes the tooltips. It also keeps you blocking with shields when you open it. Edit: Also a toggle to the Storage keybind would be nice. That feature is a tad strong since it persists through death. Hey can I use this mod in my mod pack? if not then I will delete it. So is there no 1.11.2? I could do a backport if you really want to. Hi, ShadowGamerXY, can I forward this to Chinese forum "mcbbs"? I wish more prople know this interesting mod.